Set up Siri on an iPhoneSet up Siri on macOSSet up Siri on a HomePodHow to set up 'Hey Siri'Where is Siri Supported? 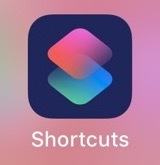 iOS 12 introduced a useful new feature called Siri Shortcuts. It’s a simple way to group together a set of iOS actions and trigger them using custom voice commands. 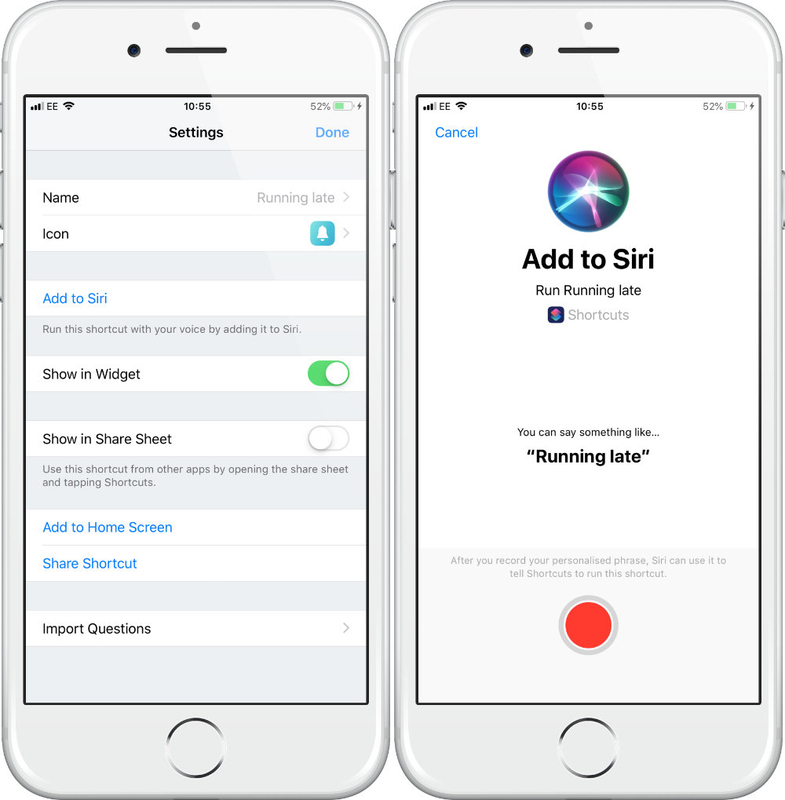 Siri shortcuts currently works with the majority of inbuilt iOS apps, with several third-party app developers already releasing updates to add support. Shortcuts can be as simple or complex as you like. 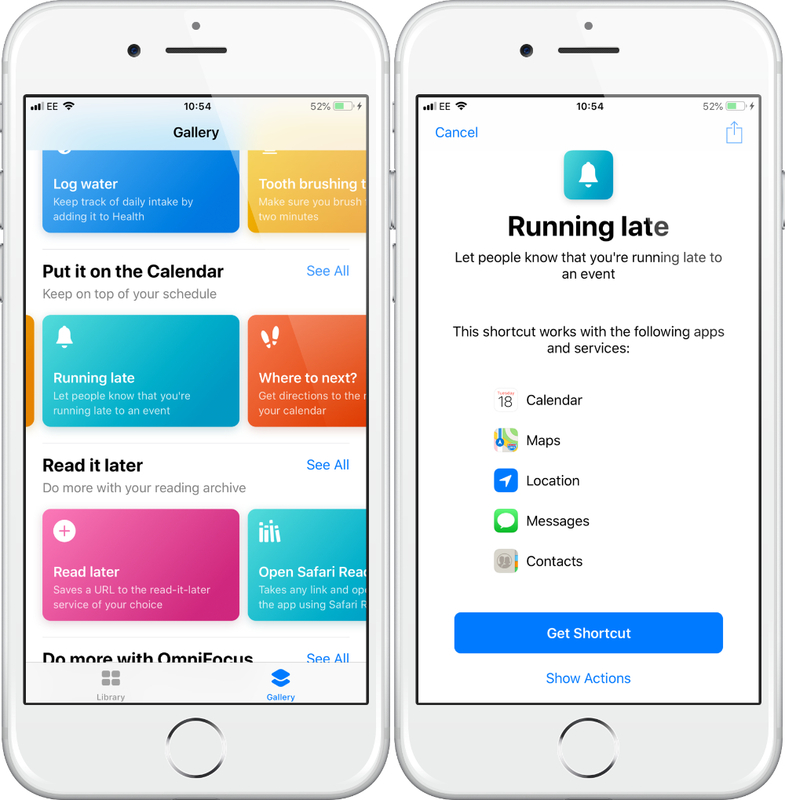 Several actions can be configured to run in sequence, so you could ask Siri to check the traffic, tell you the weather forecast, plan the quickest drive home, then send a text message to say you’re on your way. Apple has also released the Shortcuts Gallery, which already contains an array of useful pre-built shortcuts to get you started. These can be accessed by tapping the Gallery icon at the bottom of the window in the Shortcuts app. As well as being a convenient introduction to shortcuts, the gallery offers an opportunity to look at how shortcuts are created. To demonstrate the power of shortcuts, we’ll take a look at one that’s available in the Gallery. Once the shortcut has been downloaded to your library, tap on the three small circles at the top right of the shortcut to open the edit screen. Now you’ll see the sequence of actions configured to create the shortcut. Each action performs a task, then passes the results of that task on to the next. The first step int this shortcut is an action to grab upcoming events in a defined range. Tap on any of the colored words and you’ll be presented with a list of filtering options, in this case so you can select events that take place in a particular time frame. This shortcut looks for events taking place on the same day. This action will look at the location passed on from the previous step, and plan the best route for driving and calculate the journey time. The default message can be entered here, this will appear in the message window when the shortcut is run. The last part of this message is a variable* that will display the estimated amount of time before arrival. *You may already have ‘input’ displayed in this step, we found that deleting this and then selecting ‘Travel Time’ from the options in the keyboard did the same job, and makes more sense. Maybe it’s a left-over from beta versions of the app. This action will display the message window on screen when run. Click on ‘Done’ to finish, then tap on the icon again to run it. The shortcut should check where your next event is, calculate how long it will take to drive there, then insert the estimated time taken into a text message, ready to send. Note, for this example to work, you’ll need an upcoming event on the same day. The way to assign a voice command to a shortcut is easy but is hidden from view. In your shortcuts library, tap on the 3 little circles at the top right of the shortcut you want to edit. When in the edit screen, tap on the small ‘sliders’ icon at the top right of the screen (next to the share icon). A settings window should appear, tap on ‘Add to Siri’. Tap ‘Done’ when you’re happy, and your command is saved. To trigger the shortcut, activate Siri in the usual way, for example, to start the ‘Running Late’ shortcut, you could say. We’ve only skimmed the surface of what is possible with Siri Shortcuts. Many of you will be perfectly happy to use the shortcuts provided in the Gallery - which will only grow as more shortcuts for more apps are added - or you may relish the idea of creating complex, multi-step actions. Either way, it’s a feature that makes Siri far more powerful and far more useful.